Looking for a “Spirited” Adventure”? 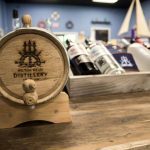 Then, CLICK HERE for the details on Hilton Head’s own Distillery!! They offer a variety of award winning spirits and tastings!